Anybody who has ever met me knows that you’ll rarely catch me in anything other than print-free, head-to-toe black, and that goes for my accessories too. That's why the recent resurgence of the monogram trend has been so hard on this Mary-Kate and Ashley enthusiast and emulator. Sensing my distress, Saint Laurent’s Creative Director Anthony Vaccarello has come to the rescue with a suede all-black-all-over monogram embossed satchel. 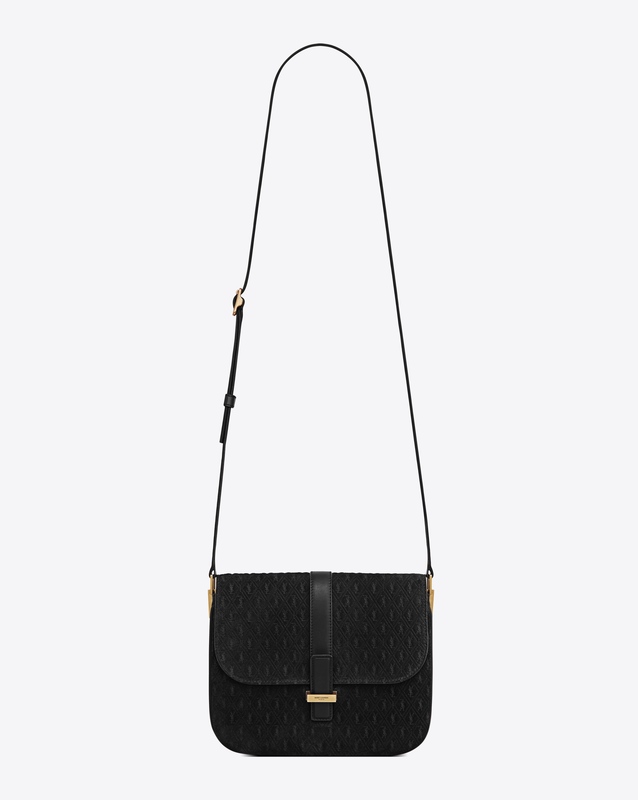 The Italian calfskin leather bag features an adjustable shoulder strap, bronze metal hardware and multiple internal pockets, to ensure the outside is as minimalist as possible. As always, thank you Vaccarello for keeping the sartorial introverts in mind.